Arqiva, the company behind most of the UK's transmission towers and communication infrastructure has announced record revenues in its latest half-yearly update, boosted by income from Freeview multiplexes, DAB roll-out and expansion of 4G mobile coverage. The company reported a record revenue increase - up 10% at £466 million, a 13% increase from continuing operations. Revenue in Terrestrial Broadcast was up 8.2%, helped by Arqiva increasing the capacity of its two main Freeview multiplexes (COM5&6) to 31 video streams, fully utilised following on-going strong demand among broadcasters in the digital terrestrial TV platform. As of 31st December 2016, Arqiva had 159 new DAB transmitters on air helping broadcasters in reaching the targeted BBC UK DAB network coverage of more than 97% of the population. The final stages for the current phase of the rollout programme are expected to complete by the end of March 2017. Meanwhile, the company says it is progressing with the delivery of Commercial local DAB to increase coverage to 91%. Arqiva is delivering new transmitters and upgrades at 220 sites and as of 31st December 2016 work had been completed on 201 sites. The remainder of the work is due to be completed by June 2017. The first national DAB multiplex achieved 93% capacity utilisation in September following the launch of Capital. The Sound Digital DAB network (a consortium in which Arqiva has a 40% holding) was successfully launched in March 2016 and by September had achieved 100% capacity utilisation. Additionally, Arqiva is contracted with the major broadcasters and Ofcom to deliver the 700 MHz clearance programme to enable spectrum to be auctioned to the mobile network operators (MNOs). The programme is expected to generate cash flows until 2021. In October 2016, Ofcom announced that it is aiming to make the 700 MHz band nationally available for mobile data by the second quarter of 2020. 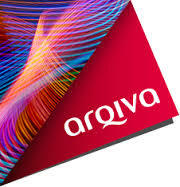 “Arqiva is continuing to deliver strong growth in revenue up by 10% in the half year, operating profit and, importantly, cash-flow from our operations as our capital expenditure and working capital needs start to reduce, after a number of years of historically high levels to support our investment in smart metering and DAB radio rollout. “We own a leading portfolio of broadcast and telecoms towers infrastructure and we are making progress with optimising utilisation of our assets. “Our investment and capital expenditure is focused on clearly defined opportunities and projects to ensure that the UK is at the forefront of the digital economy. We have a very strong order book with long term inflation-linked contracts and investment grade credit ratings to support these investments." Earlier this month it was confirmed that the company is up for sale, with an estimated price tag of between £5bn and £6bn.